With the traditional approach to budgeting, delays often take place and opportunities are lost. A lean budgeting provides a better solution to this. Your annual budget could be harming your business. Does your organisation’s budget system hinder growth and innovation? Does it make every CEO or CFO like you feel powerless to make better decisions? This may not be the soundest proposition, but budgeting, as it is currently practised by many companies, should be abolished. Many experts such as Jack Welch, an American retired business executive and author, believe that budgeting doesn’t always provide something meaningful or useful to an organisation. In one of his articles, Welch reiterated that budgeting hides opportunities for growth and at the same time, promotes bad behaviour especially when market demands change and the company still tries to reach its target. More importantly, it saps the energy and fun out of an organisation. Put more emphasis on value, not cost. Base milestones on objective evaluation. Adjust value stream budgets over time. Adopt a frugal company culture. To understand fully how budgeting disrupts an organisation, let’s talk about the traditional approach used by businesses worldwide. If your company is like most others, you create a budget for the coming year based on the total spending over the last year. This makes logical sense and is most likely the best way to budget. It’s always good to have a basis for your figures. Thus, as the head of the organisation, you look at the projects completed the previous year, including the usual expenses incurred, and make the decision out of it. Why? Because at the end of the day, your annual budget becomes one large estimate. It is never, ever accurate. Now you’re seeing how it’s potentially harming your organisation. But let’s dig deeper. The most apparent impact of traditional budgeting approach lies on its rigidity. While you can have a “good sense” of it, you never really know what would happen in the year ahead. This is especially true in the present times because shifts within the global market happen just almost spontaneously. One day you wake up and the market is doing significantly well. The next day, it’s on a rough spot. Take into account the emergence of numerous start-ups and technologies. It’s difficult to cope. While predictable and repeatable processes prove to be efficient, in today’s world of business, many companies are disrupted as globalisation takes place. Therefore, having an operational budget forecast only proves to be ineffective. Additionally, it creates a constraint in responsiveness, growth, and opportunities. Secondly, which is far worse: traditional budgeting spoils innovation. What if during the course of a quarter you bumped into a great idea that could potentially bring more success to your company? What if a new proposal was made by your OPS analyst so the organisation could adapt to the current market demands? Because you have a rigid budget, those ideas become… well, just ideas. Without enough funding, how could you turn those ideas into a concrete business language? As business scholars put it, innovation is the creation of new ideas or “sparks”. But without the money to support them, these sparks will not turn into ‘fires’. Funds are what fuels a spark to grow into a bigger fire, such as a new business model, product, or strategy. But if budgeting can bring a serious injury to an organisation, why do very few leaders feel empowered to change it? Why can’t just companies eliminate it cold-turkey and give more importance to other processes that matter most? Well, the answer is simple. Without budgeting, financial chaos and disaster will prevail. Imagine shutting down a “stop light” from a busy interaction, simply letting people rely on their good judgement. There is always a possibility of a crash. A serious one. Furthermore, without a process to allocate funds properly, it will be easy for anyone to game the system. For instance, a head department can simply buy the most lucrative set of office equipment he never needs, taking away a big chunk of money that could have been spent on more valuable investments. That’s it. It’s not about abolishing the concept of budgeting. It’s basically changing it into a system that works. A system that’s far different from being rigid. We’re talking about a system that adapts to change – a process that is wrapped in the blanket of corporate culture. One that is not solely dependent on the previous year’s data, but on the company’s current needs and plans. We’re talking about an agile approach to budgeting. And yes, that is possible. Because of the prevailing problems associated with traditional budgeting, more and more companies are adopting the lean budgeting approach. Lean budgets refer to a set of practices that aim to minimise overhead by supporting the organisation’s value streams over projects. What are the value streams? These are the steps that an organisation takes to build solutions and provide a continuous flow of value to their customers. Who are these customer that we are referring to? This is one of the most important questions every leader needs to answer. Who is the customer of your budget? Who will benefit from it? Who will use it and for what? If you can’t identify who your customer is, it will be impossible to deliver something of great value. Lean budgeting, which basically follows the same concept with lean management, proves to be a better, more efficient way to establish a sustainable financial framework in an organisation. One that is capable of supporting innovation, growth and opportunities. Contrary to traditional budgeting where everything is based on past data, the lean approach involves evaluation of working systems to determine which gives more value to the organisation (and thus need more fuel). Instead of being rigid, it allows for dynamic budget adjustments and facilitates prudent management of investments. To fully understand lean budgeting, we should give more emphasis on value streams, being the focus of this system. Unlike projects which results are often short-term and impact ends as soon as it is completed, value streams have a lasting impact on your organisation. Working around value provides great benefits, such as faster-learning, higher productivity, as well as improved products, services, and processes. As mentioned, value streams are a series of steps. Companies differ from the way they interact with their customers and the steps they take. Thus, a value stream includes the people who do the work, the tasks they do, and how they deliver. Within the organisation, a good example of the value stream would be the development of new processes, systems, or products. It is also called ‘developmental value stream’. With value streams in mind, the budget of a company surely goes into the areas that benefit the organisation the most. There is no doubt that lean budgeting encourages smart, growth-provoking decisions and processes. And because more focus is given on improving processes, lean budgets greatly reduce overhead. Another notable characteristic of lean budgeting is that through value streams, there is resource pooling. That means when things change, people involved in the value stream can flex as needed. They can even move from team to team, which further enhances their creativity, productivity, and competency. And regardless of the change, the budget is still controlled. This means that when things take longer than expected, the budget is still not affected. Decisions are a local concern, not a budget issue. Wouldn’t it be nice if you are able to achieve a budget that is accurate and flexible? Planning ahead seems like the mantra of every organisation. But it’s a different thing when it comes to setting budgets. Most companies plan their budget for the upcoming year in as early as Q3. The problem with this is, before any project has begun, while you still have very little knowledge of what you’re going to have, you already need to predict the actual cost. So once the project is underway and some unexpected things happen, you’re constrained. You’re definitely in trouble. Delays make things uglier, especially in product development. It is hard, almost impossible, to innovate a product without taking some risks. Because there’s a high level of technical uncertainty, you can’t simply make estimates for the budget. As you might agree, most things take longer than planned. The same thing is true even if things go smoothly, as your team may think about developing a specific product feature. Project accounting and re-budgeting cause great delays, which are bad for business. It makes more sense to budget as you go along than do it 15 months ahead of the project. Budgeting in an agile manner is something some companies may refuse at first. But as you learn more about it and consequently integrate it into your company’s culture, you will realise its true potential. So how do you get started with lean budgeting? Budgeting in an agile way means budgeting in sprints, either monthly or quarterly. Because you have a clear vision of the projects that are lined up, you can easily calculate how much each sprint is going to cost. In agile projects, costs are usually directly correlated with project time. This is because most scrum teams have their own dedicated members. There is a ‘team cost’ which is based on an hourly or fixed rate. Since projects are made of sprints – smaller tasks or milestones – it is easy to determine how long the project will take. Ultimately, you can compute how much your team will cost per project. So regardless of the movement of team members, your lean budget is not affected. Of course, in addition to the sprint lengths and work hours, you also take into account all your other project costs, such as the hardware, software, licenses and supplies your team needs. As with any lean management approach, assessment or evaluation is vital. 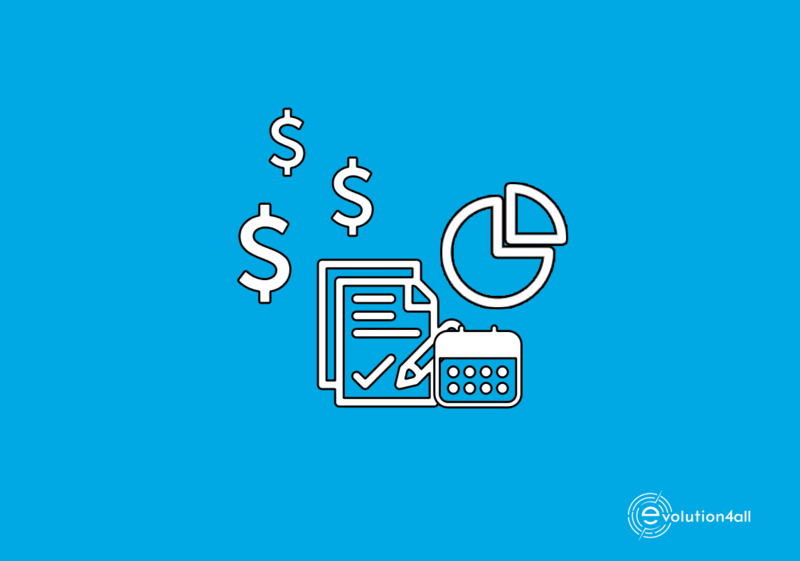 After each sprint, you assess whether the budgeting for the previous sprint was effective and whether you will need to allocate more fund to any particular area – people, resources, or supplies, for example. Here, you see that planning a few weeks in advance (when you have a detailed workflow for a project) and adjusting things as necessary for the next sprint makes more sense than panicking on a pre-set, rigid budget. Every lean manager knows that the value of a project is worth more than the price tag attached to it. When brainstorming on projects or initiatives, it is essential that every team asks the crucial question – how is it going to benefit the organisation? Putting more emphasis on value helps every manager come up with ways to enhance the organisation’s growth. As mentioned, it is important to assess each sprint to ensure that the succeeding sprints are on the right track. However, it is equally important to get feedback quickly. Thus, developing a structured evaluation process is set up, involving key stakeholders and team members. Even though value streams are self-organising, they don’t launch or fund themselves. Funding will vary based on the business needs. Supposedly, these budgets should be adjusted twice annually. Lower than that, the budget becomes too rigid and limits agility. 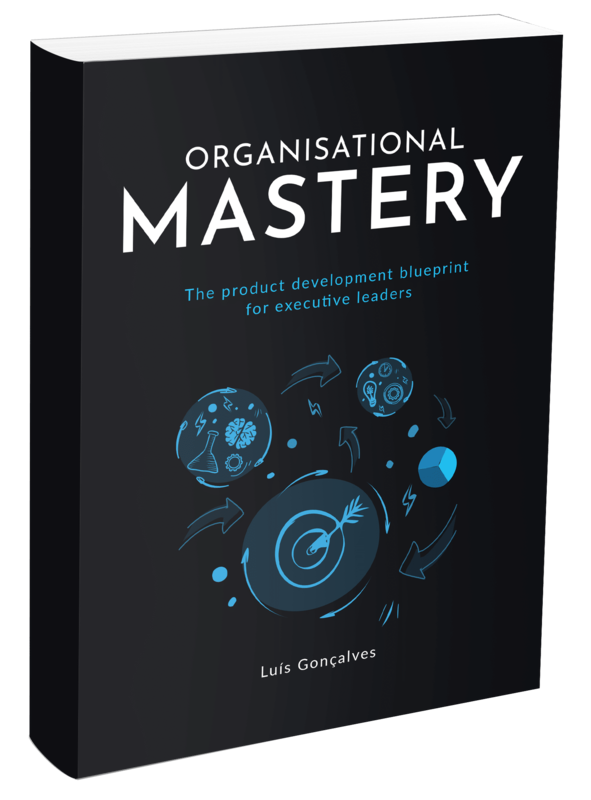 Too much, the organisation may seem very agile that it almost creates uncertainty as to the company’s ability to commit to a near-term course of action. Adopting frugality within your organisation creates a culture wherein people are focused on performance, and not on gaming the system. Why fly when you can drive? Why get individual rooms where people can bunk up? Why get a new equipment when you can refurbish the old one? With the spontaneous shifts in the marketplace as brought about by globalisation and dramatic changes in technology, becoming agile is the only way for companies to succeed. A core task of every organisation in supporting growth and innovation is creating a budget. However, with the traditional approach to budgeting, delays often take place, opportunities are lost, and innovation is hindered. A lean model provides a better solution to this. It is ­focused on value streams rather than projects, flexible, and allows for accurate allocation of funds.